Right. 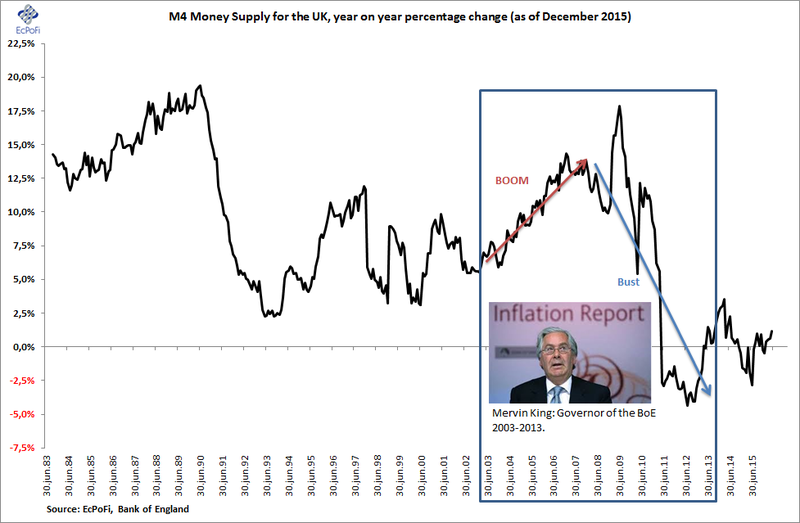 I have little respect for Mervyn King, the governor of the Bank of England from 2003 to 2013, as I sat in the hart of London in 2008 witnessing the flip-side of easy money policies. However, in an attempt to deal with a bad conscience, or perhaps he has simply woken up a little, in this interview he addresses some of the problems with money and banking (the alchemy bit). And that has some value, as a larger audience might now become more familiar with the problems of the current poverty-generating banking "model". In a longer session (here), he acknowledges that banks need substantially more equity capital. Note: do not read his book, read the books of some of the masters of economics, banking and money instead, such as Ludwig von Mises and Friedrich A. Hayek.